Thanks for watching PoliticKING with Larry King on Ora.tv! 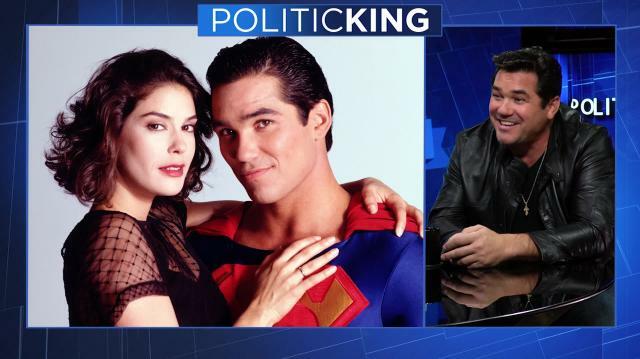 Dean Cain tells Larry King that he's 'absolutely' willing to don the cape again for a reboot of "Lois & Clark: The New Adventures of Superman." And, sounds off on Teri Hatcher's portrayal of Lois Lane. Who's really in charge of the Kavanaugh investigation? What would you ask Alyssa Milano on 'PoliticKING'? What would you ask Margaret Cho on 'PoliticKING'? What would you ask Shepard Fairey on 'PoliticKING'? What would you ask Tavis Smiley on 'PoliticKING'? What would you ask Bassem Youssef on 'PoliticKING'? What would you ask Richard Schiff on 'PoliticKING'? What would you ask Norman Lear on 'PoliticKING'? What would you ask Jorge Ramos on 'PoliticKING'?